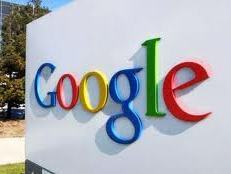 According to NASA’s Office of the Inspector General, Google executives received an unfair and inappropriate government discount on jet fuel purchased for personal flights on their nine private aircraft. H211, a company that manages aircraft owned or leased by Google’s founders, paid substantially less than market rates for fuel supplied by the Defense Department over six years. The discount is estimated to be between $3.3 million and $5.3 million less than the cost of buying the jet fuel at market rates over the same time period. In 2007, Google executives started leasing space at Moffett Field for their aircraft due to the airfield’s close proximity to Google’s headquarters in Mountain View, Calif. Moffett Field is a former Navy base and is managed by NASA’s Ames Research Center. For $1.4 million a year, H211 rents 70,000 square feet to store the Google executives’ aircraft, including a Boeing 767, two helicopters and a fighter jet. While the airfield is generally closed to other private jets or commercial aircraft, the agreement between H211 and NASA permitted NASA to use the stored aircraft for scientific expeditions. The flights for the scientific expeditions were permitted to use discounted fuel provided by the Defense Department, the only fuel available at Moffett. When the executives at Google used their planes for business or vacation travel, they also used the discounted fuel. Between August 2012 and July 2013, a quarter of the flights flown, just 59 flights, were NASA science missions, while 170 were private flights. While the more than 200 total flights NASA has flown to collect climate and earth science data using H211 planes have saved the agency hundreds of thousands of dollars, allowing Google to use the discounted fuel might have cost state and local governments a significant amount of tax revenue. Google executives have been paying market rate for fuel for private flights since September and their lease at Moffett Field ends in July. Paul K. Martin, NASA’s inspector general, wrote in the report that the arrangement resulted “in considerable savings for H211 and engendered a sense of unfairness and a perception of favoritism toward H211 and its owners.” However, Martin called the actions “a misunderstanding,” rather than “intentional misconduct” and urged NASA and the Google executives to consider “options to remedy this situation.” H211 executive Ken Ambrose responded to inquiries with an email that said, “We received a copy of the report yesterday and are currently reviewing it.” A spokeswoman for Google referred requests and inquiries to Mr. Ambrose.